Is there a budget-conscious blogger, PR person or marketer who hasn’t been tempted to right-click on an image found by a search image and “save as” before using it? Probably not. Luckily, most of us know better than to steal photographs, illustrations, graphics and other images protected by copyright. Sure, you might save a few bucks, but the risk just isn’t worth the potential cost. If that doesn’t make sense to you, let me spell it out. There is no defense against copyright infringement. If you did not take the photograph yourself, pay a photographer for the right to use it, or obtain a license to use it freely from the copyright holder or their agent, then you can’t legally use it. And pay special attention to the phrase, “pay the photographer for the right to use it”. I recently had the unpleasant experience of comforting a friend who was in full melt-down mode. She’d given her niece, a high school senior, a “portfolio” of professional photographs sold at her school. This expensive package of “lifestyle” photos cost several hundred dollars, and the doting auntie paid extra for digital images as well as prints. Then she shared the images of her darling niece all over the Internet, including on her blog — and the photography studio promptly filed a copyright infringement suit against her. She wound up paying much more to settle the claim. My friend is a savvy business owner, but it was news to her that there is a difference between simply purchasing an image and buying the right to publish that image. She was also shocked to learn that just because her niece was the subject of the photo, her niece didn’t have the right to give anyone permission to use the picture. Like most people who walk into a photo studio, she’d signed away her rights to her own likeness as part of the contract she’d signed to buy the “portfolio”. This kind of confusion is the reason that one of the highest-traffic posts on this blog has been a 3-year-old article called How to Find Great Photos for Your Blog. While the information in that post remains accurate and includes links to some great free resources like Wired Magazine’s Flickr photostream and MorgueFile, the last year or so has seen the rise of several valuable new resources, so here’s an update to the original post. The Metropolitan Museum of Art in New York has one of the largest collections of beautiful things in the world — and only a tiny fraction of them are on display. For the first time, the Met has made a huge archive of photographs available for free, non-commercial use. There are photographs of evening gowns, furniture, paintings, antiquities, jewelry, and nearly anything you can think of. The restriction is that the use must be non-commercial — so you can’t use the images in an ad, marketing brochure, or press release, but you can probably use them on a blog so long as the image is used to illustrate an editorial. For example, if you write a fashion blog, you might use an image of one of Elsa Schiaparelli’s gorgeous evening gowns to illustrate an article on how designers use themes for their collections. Also note that each image comes with a required credit. For the Elsa Schiaparelli gown pictured above, the required credit is: Brooklyn Museum Costume Collection at The Metropolitan Museum of Art, Gift of the Brooklyn Museum, 2009; Gift of Millicent Huttleston Rogers, 1951. You can put the credit in the photo caption, or at the bottom of your blog post. Getty Images has one of the largest and most beautiful collection of images in the world — and their prices reflect the high quality of the images in their stock photo collection. After years of fighting an uphill battle to protect their intellectual property online, late last year Getty created a way for individual users and bloggers to use their images free, without fear of a copyright lawsuit. If you use WordPress, and you want to embed an image, make sure you are in “Text” mode (not “Visual” mode), because what you are pasting in is an HTML code. It’s an amazing free resource for bloggers — but the use restrictions are significant, so make sure you are using the images according to the license. Shutterstock.com is probably the #2 commercial stock photo house (after Getty). Instead of paying a sliding scale based on usage, you subscribe to a monthly service that allows you to use a specific number of images. However, once a week, Shutterstock publishes a free image of the week on its blog. Here’s this week’s image. 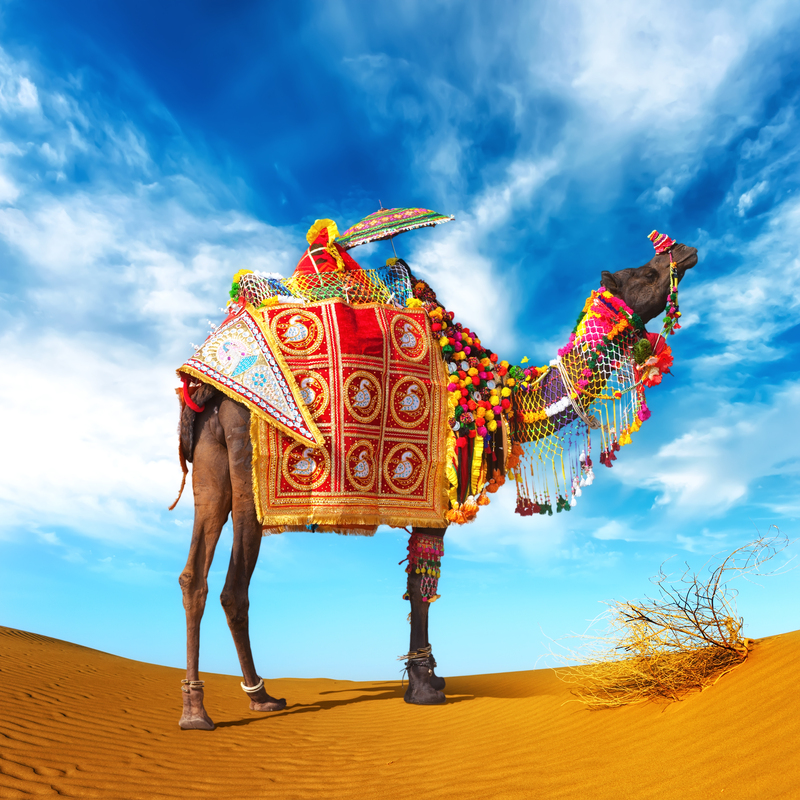 Rajasthan festive Indian camel by Banana Republic images. The free Shutterstock images of the week are only available for one week at a time, so you have to either subscribe to the blog or check back weekly to see what they have. Usually, there are a couple of images available — or one illustration and one photograph. You never know what you’ll find, but they are sure to be high-quality images. Pixabay is my personal favorite new resource. There are quite simply no restrictions on how you use the images. The site includes illustrations, clip-art style graphics, and photographs on a huge range of subjects. Most of the contributors seem to be talented amateur photographers, and there is a huge range of available images. Gotta love a site that says, “You can freely use any image from this website in digital and printed format, for personal and commercial use, without attribution to the original author.” Pixabay has a huge collection of graphics, illustrations, and photographs, in a wide range of styles. The search function is easy and fast. There is just one caveat about Pixabay: it’s a Shutterstock affiliate. Notice the “Sponsored images” that appear at the top of every search result — and on the lower right side of the download screen above. “Sponsored images” are not free. The “sponsored images” on Pixabay are standard Shutterstock images. As noted above, Shutterstock is a subscription service that starts at $249 per month. I have heard from a graphics designer who claims that his mistaken attempt to download a “sponsored image” on Pixabay triggered an automatic renewal on Shutterstock, even though he had cancelled his Shutterstock service due to a client budget cut. Pixabay isn’t the only free online photo service that has sponsored images. So do most others such as MorgueFile and FreeFoto.com. So look for the images marked “SPONSORED IMAGES” and avoid them unless you have a budget to pay for them. FreeFoto.com is a spinoff from Dreamstime, standard stock photo service that allows commercial users to pay to license images for any purpose. On the free photo site, bloggers, small business owners and marketers, and not-for-profit users can download and use images for free online use, and for some printed uses, too. Commercial and non-commercial users can use FreeFoto.com images online as long as they provide attribution to the image and a link back to FreeFoto.com (either the image or the main site). This license allows blogs, social networking sites and use in emails, just to name a few, providing they provide the required attribution, this includes sites that pay people to write, carry advertising or are selling and promoting products. The only requirement the attribution and link back. Under the Creative Commons license for non-commercial, no derivatives, attribution license (http://creativecommons.org/licenses/by-nc-nd/3.0/). This provides for use in any media providing it is not for commercial purposes and they are not making a derivative image or gallery. 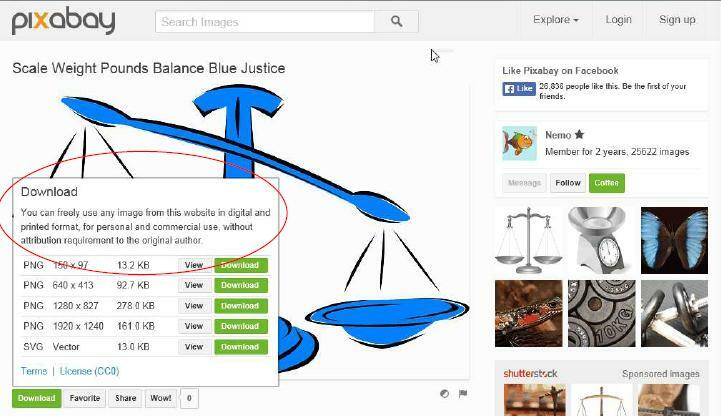 Non-commercial users may download web size images to use off-line in school projects, church services, leaflets, etc. Basically if your off-line use is not commercial you can download the web size images free as long as you credit the FreeFoto.com web site. If you use one of the full screen images you must place a hypertext link with the line Supplied by FreeFoto.com in a conspicuous place. 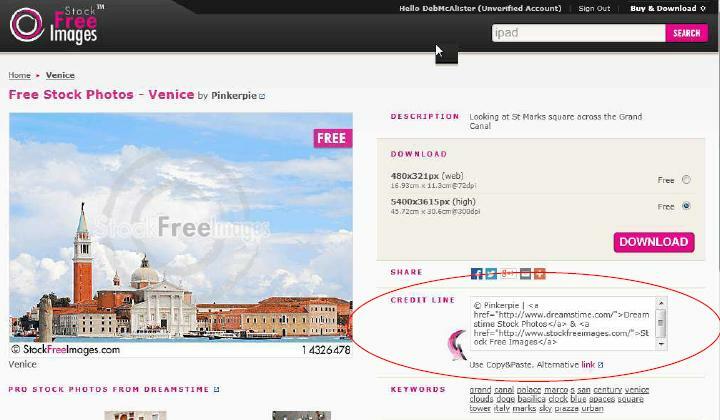 No matter what size image you use, you must add (c) FreeFoto.com to the image alt tag. StockFreeImages bills itself as the “Cheerful and Free” image site. That’s a pretty accurate description. You won’t find many moody, gothic images here — most of the photos are of smiling people doing things that look like fun, or of sunny landscapes, cute kids (or animals), and interesting abstract images of things like paperclips or motherboards. Note that when you download the image, the watermark doesn’t appear on the image. The credit line circled in red on the screenshot above shows exactly what you must include when you use the photo. It’s a pretty straightforward site to navigate. You can search by categories such as abstract, animals, art & architecture, business, illustrations and clip art, industrial, nature, objects, people, technology, and travel — or you can enter a keyword in the search window. Like most of the other free sites, this one links to sponsored images from paid services. So not all of the images that you’ll see in a keyword search will be free to use. As with the others, ignore the sponsored images unless you have a budget to pay for them. Gallery | This entry was posted in Law, Marketing, Public Relations, Social Media and tagged avoiding copyright problems on your blog, blogging, blogging law, Copyright, copyright infringement, Deb McAlister, Deb McAlister-Holland, how to find free photos for a blog, photos. Bookmark the permalink. You can also try http://www.4freephotos.com , http://www.alegriphotos.com of http://www.4freetextures.com for free stock photos. Really helpful – I’ll definitely pay Getty a visit – thanks!